Last week was fabulous—I heard it from everyone! Demonstrators who were attending for the first time loved every minute, and even more gratifying, demonstrators who have been to many, many conventions loved every minute as well. As I mentioned during my remarks in the closing session, we worked hard to surprise and delight during this convention, and I think we did. I shared a long list of new convention highlights (see below), and hopefully I got most of them. Speaking of first-timers, we also had a first-timers breakfast! Treats—we had more treats this year than I can ever remember having before! I’m sure I’ve forgotten something, but I think this is a pretty good list. I do want to mention how much I enjoyed my time in the VIP room on Wednesday; I got to personally thank demonstrators who recruited in April, and I also got to spend some time in the coveted VIP room! The Kick-Off Party Wednesday night was great too! Lots of contests and games and fun . . . loved the creative hats everywhere! One of my favorite things during this convention was the two new marches on Thursday. I got to watch the screen backstage, and I felt almost giddy watching the faces of demonstrators who had no idea they would be marching! Over and over again I heard how incredible the classes were. Several demonstrators mentioned that some years, they’re so tired, they might skip a class and take a nap. Not this year! The feedback I received was that every class was a can’t-miss offering, full of invaluable information for demonstrators at every level! Kudos to our presenters, both home office and demonstrators! And I was glued to the screen during the Main Stage presentations! All the projects were fantastic, and I enjoyed the +ONE surprise visitors, especially Santa Claus and Willy Wonka! And, congrats to our third-generation Gardner Girl, Sidney, on her Convention Main Stage debut! What a cutie! It was simply a great week! I’m so very proud of our employees; every single person from every department contributed in some way to convention, either before, during, or after! They did a great job! I hope our demonstrators feel the same sense of pride for being associated with such dedicated, hard-working people! And I was proud of our demonstrators as well! Talk about a fun-loving, enthusiastic group! 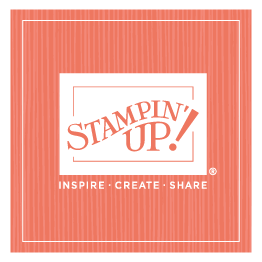 We are so grateful for you, your commitment to what we are all working for and your support and encouragement as we work together to grow and share Stampin’ Up! with others! 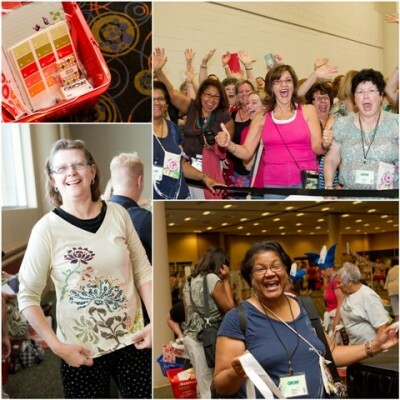 If you joined us this year—thank you for a great Convention 2011. If you didn’t, start planning and saving now to be with us next year! Convention is barely over, and I know we’re already looking toward 2012! 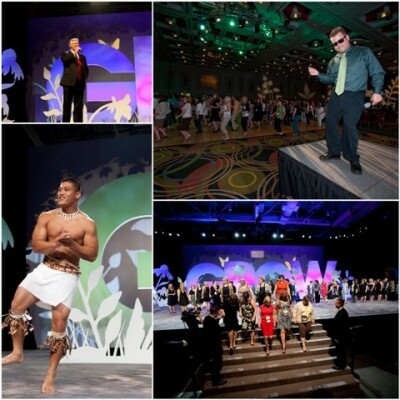 Our goal every year is simple—top last year’s event. That’s a pretty tall order this time, but I am confident that we’ll do it. . . somehow! 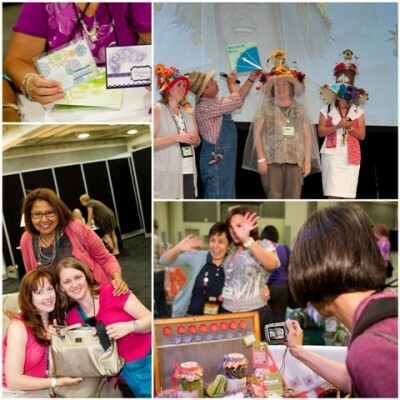 Join us next year and see!